Why is Sasha Banks upset with WWE? It's no secret that Sasha Banks is unhappy with WWE right now and while most fans really don't care, they fail to realize just how badly Banks has been badly booked in the last couple of years. Beyond that, they also fail to realize the drastic changes that the women's division has undergone and how that has left her out in the cold as well. Whether you like Sasha Banks as a performer or not, and some people definitely don't, one still needs to realize that The Boss' anger is somewhat justified. Furthermore, they need to understand that it really is the result of a string of bad decision made by WWE officials over the last couple of years. With that being said and Banks reportedly set to demand her release from WWE and she also didn't show up on this week's edition of RAW, here are five reasons why Banks has every right to be upset with WWE. as always, let us know your thoughts in the comments below and tell us if you think her actions are justified or just The Boss whining for attention. Ronda Rousey having a stranglehold over the women's division didn't help things. 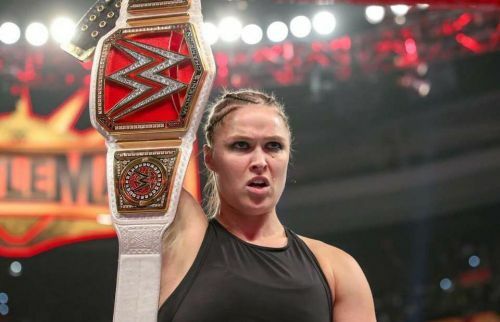 Another thing the WWE Universe needs to be honest with themselves is the fact that while Ronda Rousey's run as Raw Women's champion was nothing short of awesome, it also left a lot of the division with little opportunity. And to some extent, she was right about that. While Rousey quickly rose to fame in the squared circle and quickly inserted herself into the title picture, WWE made Bayley and Sasha Banks into afterthoughts. Beyond that, they kept trying to change their storylines almost every week, which made things more confusing. Beyond that, the company kept writing it off as if it either didn't happen or took them off of the show entirely for weeks at a time.